Workers' Comp Discounts with Payroll Management through Our PEO Service Providers. Also called a Professional Employer Organization (PEO), employee leasing is one of the fastest growing business trends in the last decade. PEO services lower employment related liabilities by outsourcing payroll and HR issues, while increasing your time to work on revenue generating activities. 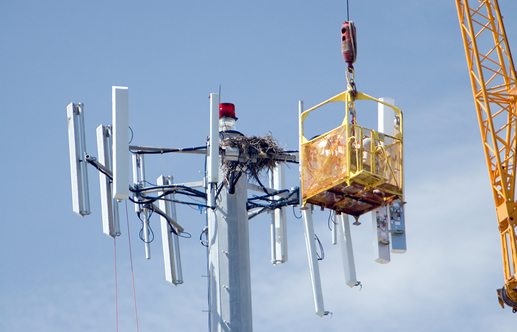 The savings on cell tower workers' compensation insurance can be up to 40% with no audits and pay-as-you-go plans. Plus, you can access affordable group healthcare, dental, vision and other benefits that allow you to attract better employees. The administrative costs when using an employee leasing company, average between 2-4% of annual payroll. PEO costs are far below the Small Business Administration's surveyed data, revealing a 9-13% average for managing these employment related tasks in-house. So, what services are included in the administrative costs? Complete payroll services, including paper checks, or direct deposits, quarterly and annual tax filings, human resource help, risk management and benefits administration. What Type of Businesses Use A PEO Service? PEO companies work in every industry, including government and non profit service providers. Through almost 50 years in existence, there hasn't been an industry that a PEO hasn't helped. There are now dozens of PEO programs working throughout world, helping business owners in multiple countries as outsourcing HR headaches continue to spread. How Can Employee Leasing Quotes Help You? As the nation's leading PEO brokerage since 2001, Employee Leasing Quotes is the easiest way to find the right PEO company for your cell tower business. With so many choices, there may be only a handful (or one) that can provide coverage for heights involved, claims history and the individual state(s) your cell tower maintenance company needs. Give us a call, information and pricing are free.